I always love when brands have a vegan section on their site so make my shopping needs easier so i'm so stoked to see Charlotte Tilbury added their own! Want my recommendations? Keep reading! Will you be picking anything up, or do you have any personal favorites? Let me know below. They may give the sheet mask as a gift with purchase... Maybe... (Charlotte Tilbury web order; not sure if it was an item I ordered or the order total.) The Instant Look in a Palette is so pretty! 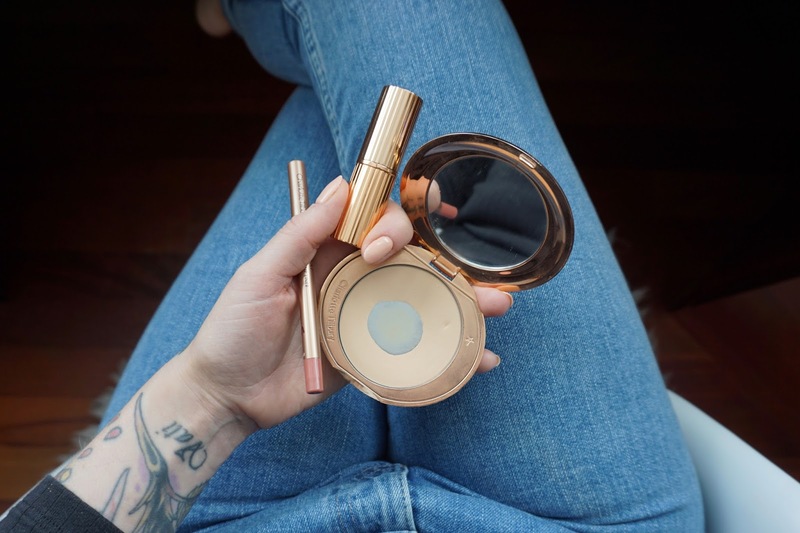 This has been fun, too—http://www.charlottetilbury.com/us/hollywood-contour-highlighter-duo.html. I like that the site sells kits. I might have purchased the flawless defined brows kit, too.